What a great summit & learning collaborative! 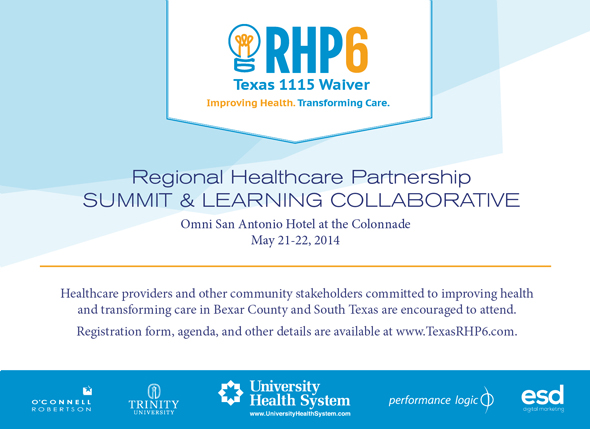 More than 300 community stakeholders committed to improving health and transforming care in Texas converged in San Antonio on May 21-22, 2014. Attendees included executives, administrators, clinicians, DSRIP project team members, public health professionals, and other community members. Event materials, including posters and presentations, are available here. For questions about the event, please contact Carol Huber at Carol.Huber@uhs-sa.com or 210-358-8792.